REDONDO BEACH, CA--(Marketwired - Feb 25, 2016) - Having a whiter, brighter set of teeth is a goal many individuals wish to achieve. Advances in the field of cosmetic dentistry have yielded a number of professional teeth whitening options designed to help patients reduce signs of yellowing, discoloration, and stains so their teeth can look fresher and healthier. 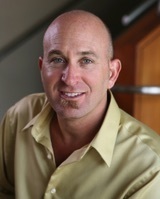 Dr. Michael Fulbright, a dentist in Redondo Beach and the South Bay area, says two of the most popular professional teeth whitening techniques available at his practice offer numerous advantages for patients; however, both Zoom!® and the KöR® Whitening Deep Bleaching™ System have several distinctions that can make one option more ideal than the other. Dr. Fulbright says Zoom!® teeth whitening can be a great option for patients with mild-to-moderate stains and teeth discoloration caused by the drinking of beverages like coffee and wine, the use of tobacco products, or simply due to the natural aging process. The technique is an in-office procedure that typically takes about an hour to complete, giving patients near-instantaneous results. Dr. Fulbright says Zoom!® can be very beneficial when compared with over-the-counter teeth whitening options because of the quality of the bleaching agents, the quick results, and the fact that it is overseen by a dentist who can customize the procedure for the best possible outcome. By contrast, Dr. Fulbright notes that KöR® Whitening can also be effective at lightening the teeth by several shades; however, this technique is designed to help patients who are affected by more serious degrees of teeth discoloration. He says the KöR® Whitening system utilizes a gel that's formulated to address the deepest of stains along the teeth, giving patients an advanced option to reduce more severe levels of discoloration for which other whitening techniques may not be effective. Plus, he says, this particular technique is known for its ability to reduce post-treatment teeth sensitivity. Dr. Fulbright adds that the KöR® Whitening system is a multi-stage process involving both an at-home treatment and an in-office procedure. Dr. Fulbright says professional teeth whitening treatments offer patients a way to significantly brighten their smiles and address discoloration that commonly affects the teeth, regardless of how diligent and thorough one is with daily oral hygiene. He says the best way to find out whether a procedure such as Zoom!® or the KöR® Whitening Deep Bleaching™ System is the better option for an individual's needs is to consult with an experienced cosmetic dentist who offers both procedures and can examine the teeth to determine the severity of staining. Dr. Michael Fulbright is a member of the American Academy of Cosmetic Dentistry, the American Dental Association, the American Academy of Dental Sleep Medicine, the American Academy of Implant Dentistry and the West Los Angeles Dental Society. After earning his Doctorate of Dental Surgery at the USC School of Dentistry, Dr. Fulbright continued his dental education at the Pacific Implant Institute and at UCLA's Advanced Aesthetic Continuum. In addition to teeth whitening, porcelain veneers, dental implants, and other cosmetic and general dentistry options, Dr. Fulbright offers a comprehensive diagnosis and treatment program designed to help both adults and children suffering from sleep apnea. Dr. Fulbright is available for interview upon request. KoR vs. Zoom! Teeth Whitening Treatment: Which Is Right For Me?